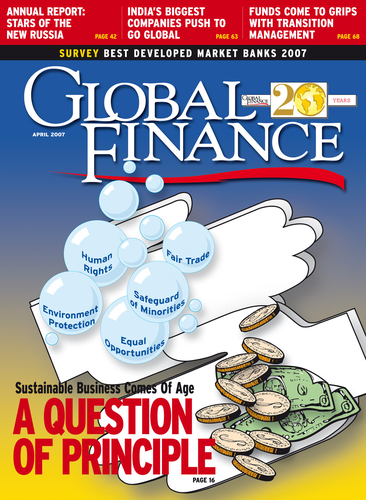 Corporate Finance : Is Private Equity Going Green? An investor group led by private equity firms Kohlberg Kravis Roberts (KKR) and Texas Pacific Group definitively agreed to acquire Dallas-based power company TXU for $32 billion in the biggest leveraged buyout in history. To help win approval for the deal, the buyout firms agreed to a long list of concessions to environmentalists and a price cut for consumers, who will see their electric bills decline by 10%, or about $250 a year for the average household. Including debt, the TXU deal is valued at more than $44 billion, according to Thomson Financial. In addition to KKR and Texas Pacific, equity investors in the company will be GS Capital Partners (a unit of Goldman Sachs), Lehman Brothers Holdings, Citi and Morgan Stanley. The firms are paying a 15.4% premium for TXU, which under the merger agreement may solicit proposals from third parties through April 16, 2007. Credit Suisse and Lazard are advising TXU on the deal, while the investor group’s advisers comprise Citi, Goldman Sachs, JPMorgan, Morgan Stanley and Lehman Brothers. TXU has been fighting environmentalists and others who have been trying to prevent it from building 11 new coal-fired power plants to meet the fast-growing demand for energy in Texas. The new buyers said they will build only three of the planned coal-fueled units, thus preventing 56 million tons of annual carbon emissions. They said TXU would strengthen its environmental policies, make significant investments in alternative energy and institute corporate policies tied to climate stewardship. “This is one of the most significant developments in America’s fight against global warming,” says Fred Krupp, president of Environmental Defense. He praised KKR and Texas Pacific for their support for a mandatory “cap and trade” program to regulate carbon emissions. Such programs set legal limits on the amount of pollution a plant may emit. Companies that succeed in bringing their emissions below permissible levels earn credits that can be traded to other firms that need help in meeting the cap. “This turnaround [at TXU] marks the beginning of a new, competitive focus on clean, efficient, renewable energy strategies to deliver the power we need while cutting global-warming emissions,” says Frances Beinecke, president of the Natural Resources Defense Council. As a private company, TXU said it will be free from the short-term financial pressures affecting all public companies and will be able to accomplish customer-service innovation and develop a new generation of technology on a scale and schedule that otherwise would not be possible. The company said it will more than double its purchase of wind power and will promote solar power through photovoltaic rebates. William Reilly, former Environmental Protection Agency administrator, will join TXU’s board. TXU will be reorganized into three separate and distinct businesses: power generation, transmission and distribution, and retail operations. In 2004 KKR and Texas Pacific were part of a consortium that purchased Texas Genco, the second-biggest power company in Texas, for $3.7 billion. The investor group sold Texas Genco to NRG Energy last year for about $5.8 billion.